I have recently added 7 new links to the website. I added 5 of them under “Philippines” “Websites”, 1 under “Philippines” “Samar” “Links” and 1 under “Philippines” “Calbayog” “Links”. I hope to have some more soon, especially under the “Samar Links” because there are not very many there at this time. Personal blog of a Filipino woman of the principles of The Secret and the Power of Subconscious Mind. Giveaways, Blogger Opinions, Parenting, Social Views, Tips, Life Improvement. Revelations from the ever lasting sunrise of a Filipino women’s cosmic mind. I came across this site by accident, but it impressed me enough to add it to my desktop under “Philippine News”. They have many links for different areas like news, banks, dating, hotels, diving and maps. Most of the links are in the Philippines, but there are several for other parts of the world also. A website that is run by the lawyers at The Law Offices of DeBoria, LaMorena and Duano. They have tons of legal advice and contact numbers and e-mails in case you need further assistance. The personal travel and hertiage advocacy journal of Ivan Henares. 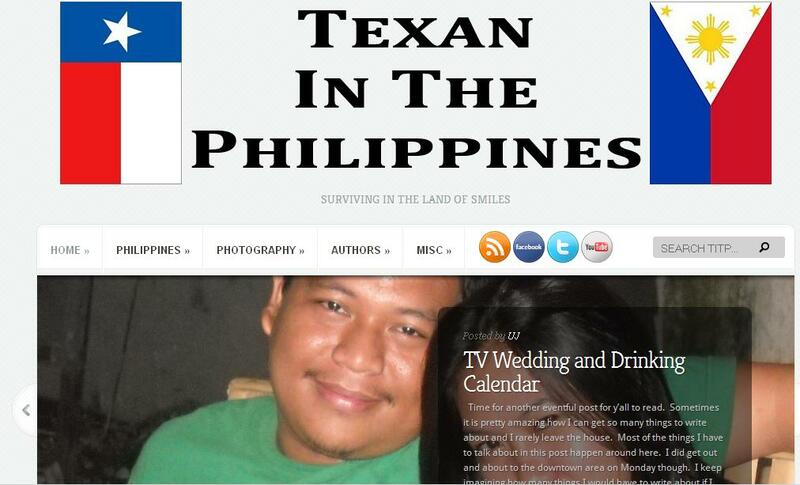 This blog was named “Best Travel Blog” at the 2007 Philippine Blog Awards. He is well on the way to exploring all 7,107 islands in the Philippines. Touched by an Angel. This blog inspired by a mother who’s 6 year old son died. Blog is about grief support, Advocacy work, parenting, health, family life recovery, marriage, social commentary and her thoughts and opinions about eventful and uneventful days. A popular award winning website. This site was made in response to the growing number of new eco-tourism sites to accomodate nature lovers and adventure seekers. If you have an insatiable need to learn more about the Samar Islands, then this is the site for you. Part of a larger site (The Philippines City) that lists all the cities in the Philippines. I have the larger site under Philippine Websites. This site lists most of the natural attractions in Calbayog with a little synopsis about each one. It also gives you the location of Calbayog in the Philippines. NOTE: I had one more for “Samar Links”, but then I noticed that no updates had been made to it in about 3 years. I try not to list websites that have been outdated that long. I think I’m pretty awesome too, at times. At least here I can live. In the US I was just getting by and without a job (and no one would hiring me being over 50), I got tired of sponging off the government. I do like it here in the Philippines and I hope to soon be able to have some of this fun that everyone keeps talking about. We are getting closer to being normalized here. I heard it takes 5 years to become totally adjusted to the Philippines from the States. I didn’t believe it, I thought I could do it in no more than 2 years, but I was wrong. It probably will take 5 years, but it will be worth it in the end. I hope that people check out your Divalicious site from here, I liked it and maybe they will too.